The award was given to express gratitude for the Presidential relative’s unwavering support to the Russians. 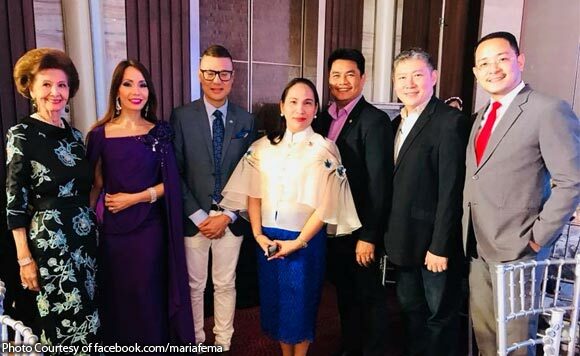 Presidential kin Maria Fema Duterte shared on her Facebook the award she received from the Russian community for her unwavering support to its art and culture. The Bronze Butterfly Awarding Ceremony, held at the EDSA Shangri-la last Wednesday, January 3, was attended by key officials from Russia. “As I commence my work as Executive Director of the Nayong Pilipino, I have now the pleasure and opportunity to obtain better understanding of the cultural community of Russia, the culture and arts that should be part of our Filipino community, as well as to encourage business support for their arts in our country. This is an exciting moments for all of us”, she wrote on her page, as part of her acceptance speech. She then thanked the officials behind the award and said that she looks forward to do more business with the Russians.